Monterey Beyond the Aquarium: Whales, Wine, and More! One thing we love about travel is the ability to visit familiar spots and experience something new. We recently spent a weekend in Monterey, somewhere we have visited several times, and decided to change it up a bit (we normally head to the aquarium). 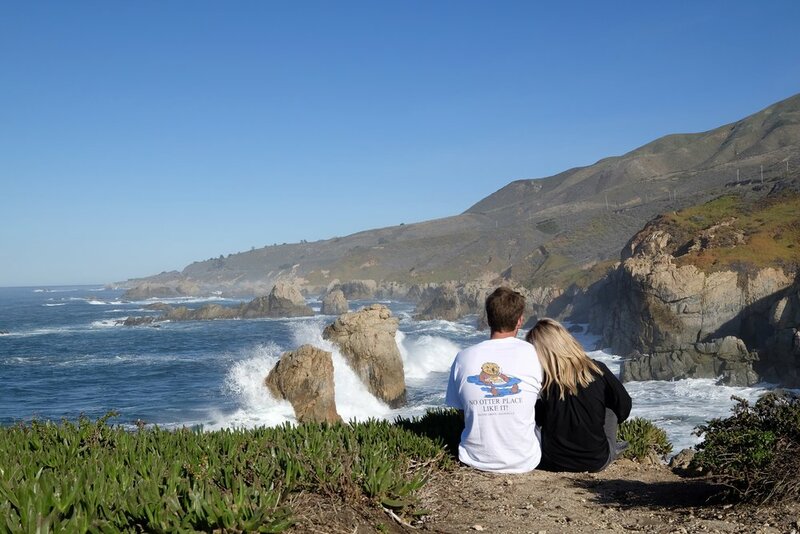 We ended up having the BEST time and discovered a newfound love and appreciation for this part of the California Coast. Here's some of the new things we did that we would HIGHLY recommend! This area is a mecca for whale watchers, no matter what time of year! (mid December - April for blue whales, mid April through mid December for Humpbacks) We went with Discovery Whale Watch Tour and they took us on a two-hour tour that brought us close to 6 different whales! It was AMAZING!! We also saw tons of sea otters, seals, and jellyfish (the jellies were a bit terrifying). The boat can be rocky, so if you get seasick definitely prepare yourself. But the experience is 100% worth it! 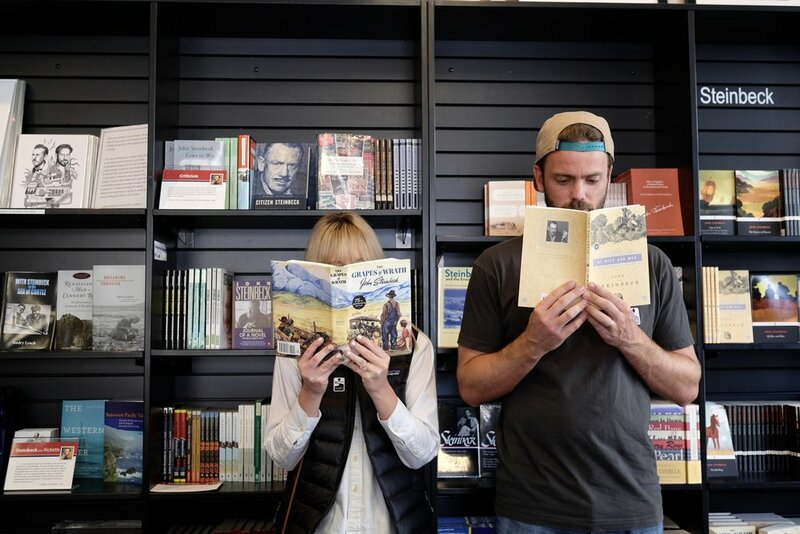 John Steinbeck fans? This is something you DEFINITELY don't want to miss! 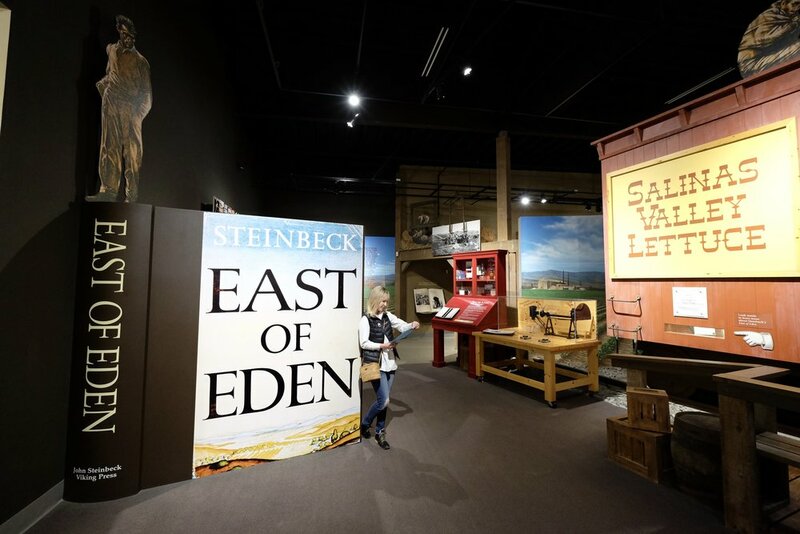 Located in Salinas, just outside of Monterey, you can visit the center that is dedicated to John and his literature. The museum is incredibly well-done (and fun! ), and you could easily spend a whole day learning about the man behind all the classics. 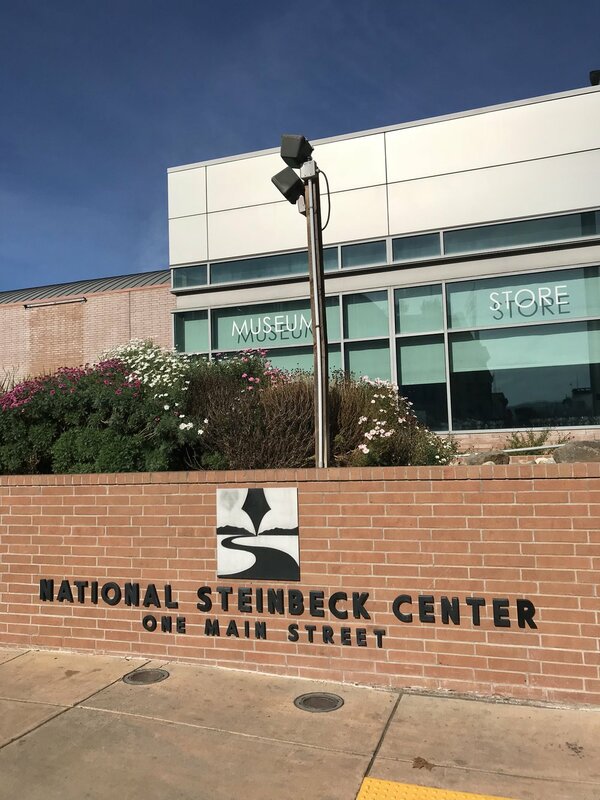 Whether you're taking a quick break or wrapping up your time at the center, just a mile away Steinbeck's home that's now a restaurant! While we didn't have time to eat there, we heard the food is awesome! And how cute is his home? Did you know they made wine in the Monterey area? We didn't. 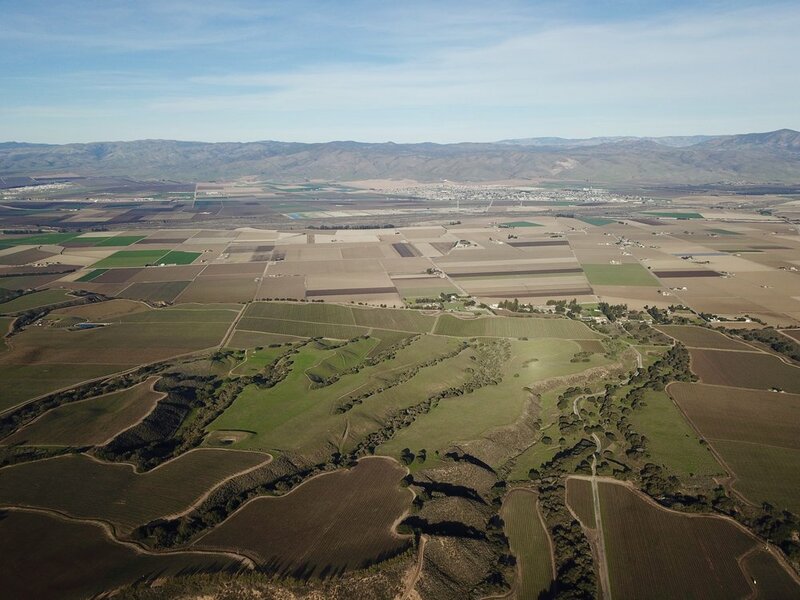 Apparently the warm sun, cool fog, good soil, and the topography of the surrounding land and sea have combined to create a vintner's paradise. With over 60 tasting rooms, it's a fantastic spot to spend your day (or just a couple of hours)! Known for their Chardonnay, Cabernet Sauvignon, Pinot Noir, and Riesling, each winery has an amazing selection. We drove along the River Road Wine Trail one afternoon, where we indulged in the Odonata, Scheid, and Hahn wineries. 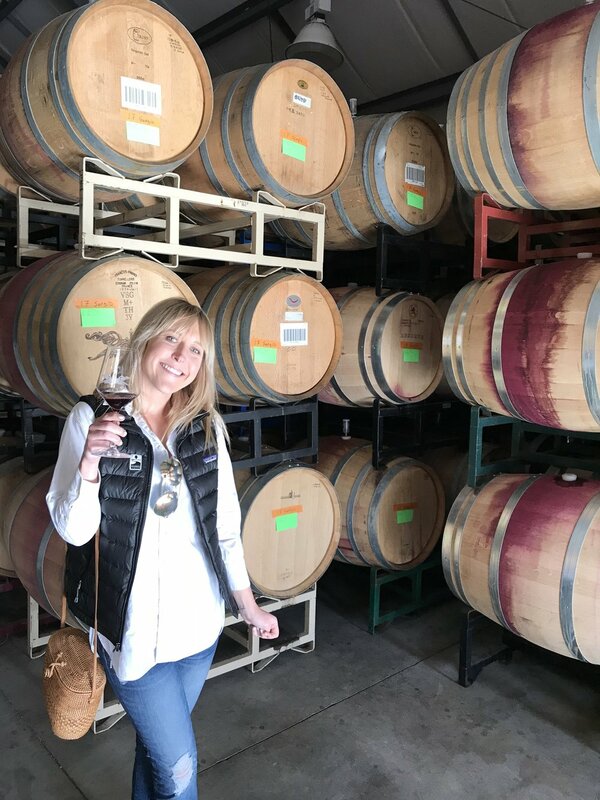 Go out and explore for yourself, as Monterey County has some great wines! While we've been to Monterey several times, we've never actually just walked around the surrounding area! Weird, right? Our favorite walk was from the wharf to Cannery Row, and here's what we recommend that you do. Park at the wharf, and turn left. 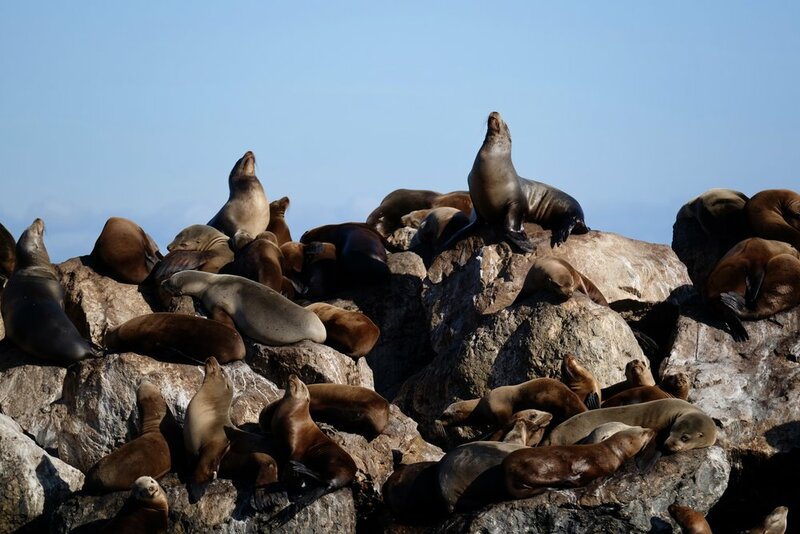 Take the trail along the water and you'll walk past fun shops, restaurants, along the historic Cannery Row, and even the aquarium (You can easily spend a whole day there - it's incredible)! We walked to First Awakenings for breakfast and back, and it was the perfect way to start the day! If you have a bike, this would be an AWESOME spot to bike ride! These are just a few of our favorites activities that took our trip to Monterey to the next level. If you have anything to add, let us know! We're looking for new spots to visit next time! This post was sponsored by Monterey County. All opinions expressed here are our own. 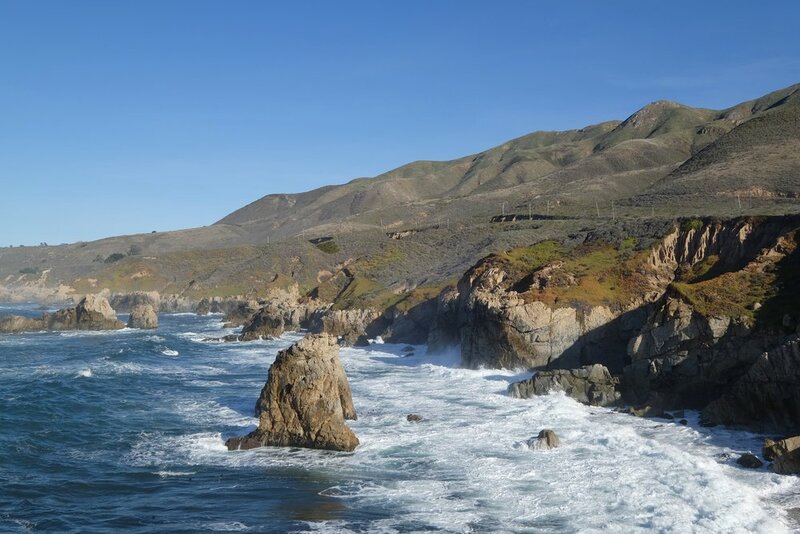 One of our favorite drives EVER is along the Highway 1 in California. The dramatic coastline spans from Southern Cali to Northern Cali, and every turn, twist, and bend offers a new picture-perfect view. It’s one of those drives you shouldn’t take when you’re in a hurry. Quite frankly, we recommend you do it with little-to-no plans! 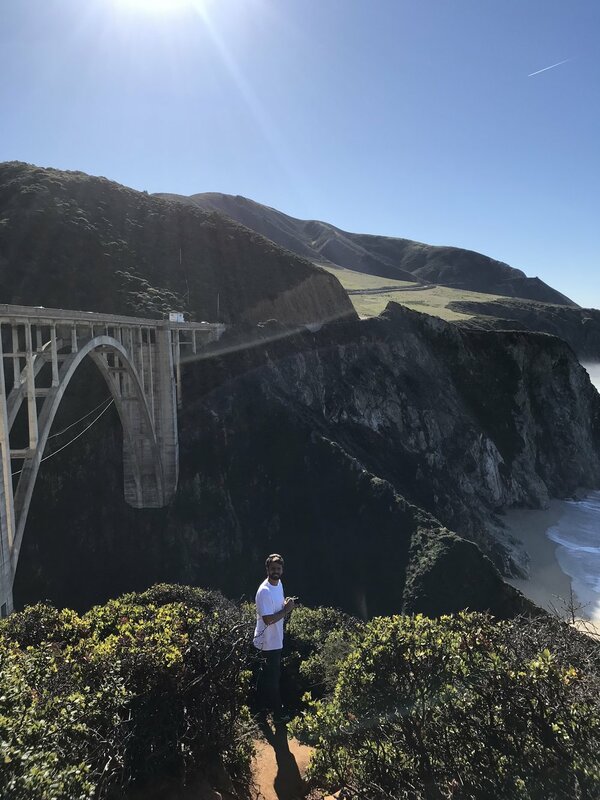 We recently went on a short weekend trip to Monterey County, and spent a day meandering up and down the 1 from Monterey to Big Sur. We probably stopped 20 times in a matter of hours - there was too much to see (and photograph)!! Here’s a few of our favorite vantage points, and some photos to show why. This was our first stop - and probably our favorite. As we cruised south out of the Camel Highlands, the landscapes started to change, and we were antsy to turnoff at the first available spot. 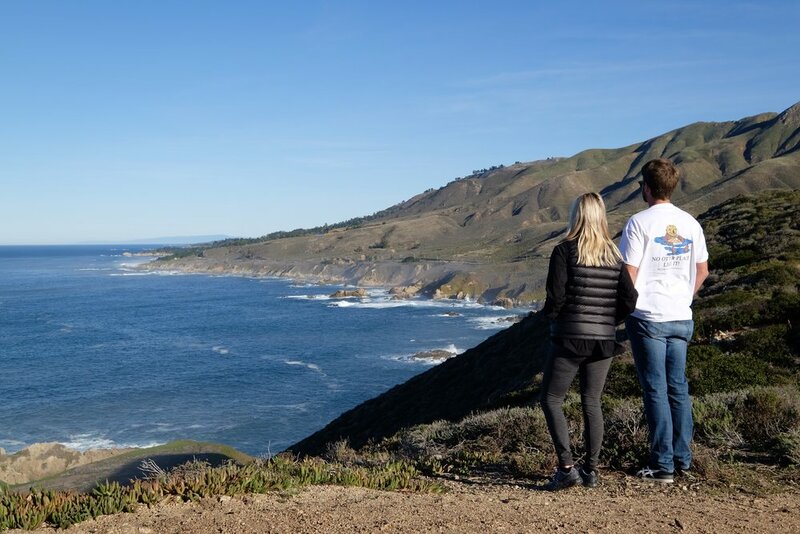 Soberanes Point has a lookout up high, as well as a trail on the water, that will offer the jaw-dropping views you're looking for. We hiked up to the top of the mountain for an EPIC vantage point of the coastline. (Make sure you’re wearing comfortable hiking shoes, as exploring these trails can get a little intense.) We then hiked down to a lookout that was absolutely breathtaking. We watched as 10+ foot waves crashed along the cliffs, and marveled at the blue, unruly seas. It’s definitely not a coastline that’s conducive for swimming! 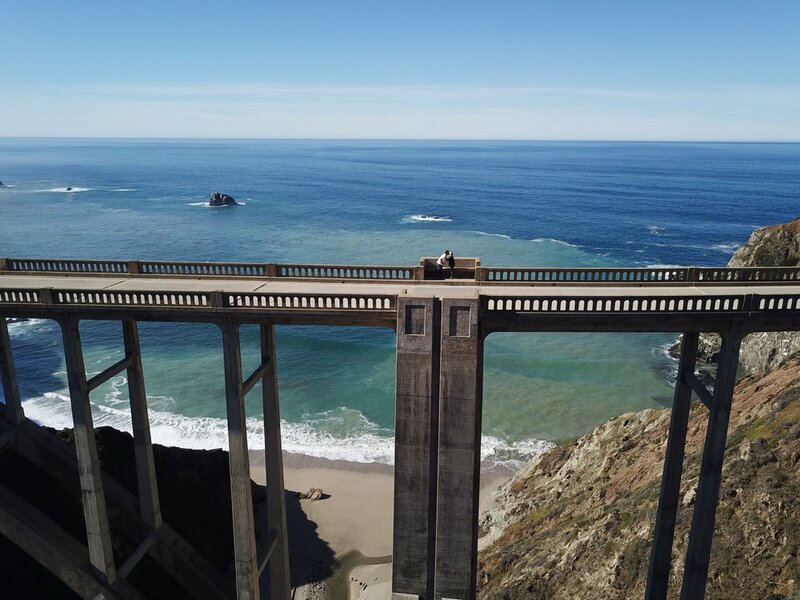 Just under a mile away from the famous Bixby Bridge, the Rocky Creek Bridge can easily be mistaken for it! Every bit as picturesque, this bridge is definitely worth the stop. You can climb down to the base for a photo op, and it’s usually less crowded than Bixby. It’s an architectural marvel, and absolutely stunning to see up close! 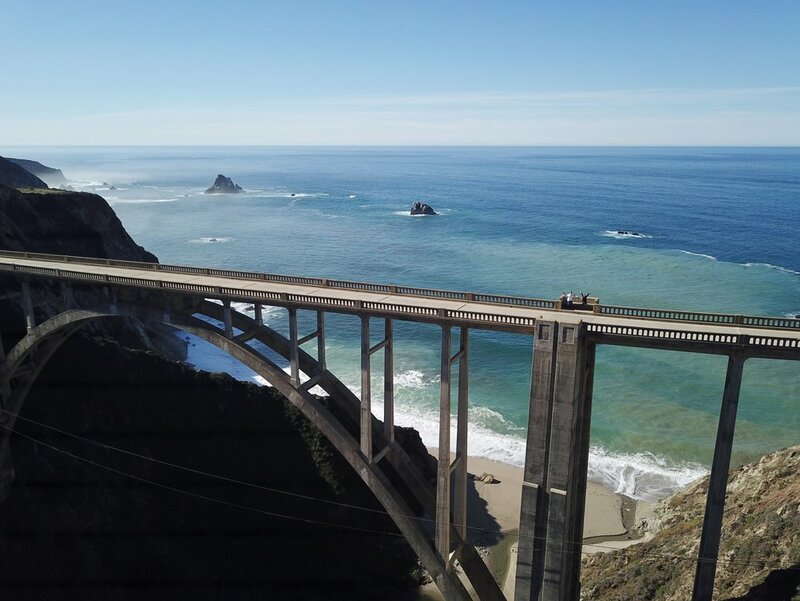 The Bixby Bridge is world-famous, and we can see why. 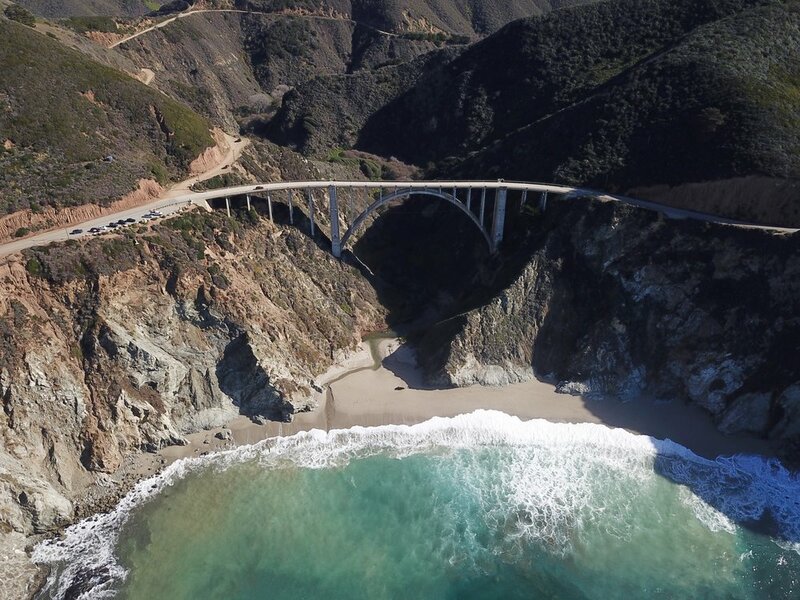 Not only is it one of the most photographed bridges in the world, it's been in TV shows (Pretty Little Lies), movies (Play Misty for Me), and video games (GTA)! Built in the 1930's, it's an architectural marvel- that will cause you to just sit and stare. We recommend parking and taking your time walking around. You can even cross the street and get some cool views from behind the bridge, and that's not a bad spot for a picnic! If you're really feeling daring, you can walk along the edge to the bench in the center of the bridge! Definitely not for the faint of heart, but worth it for the photo op! Named for how windy it is up there, Hurricane Point is one of the highest points along Highway 1. From this spot you'll have incredible views in all directions. 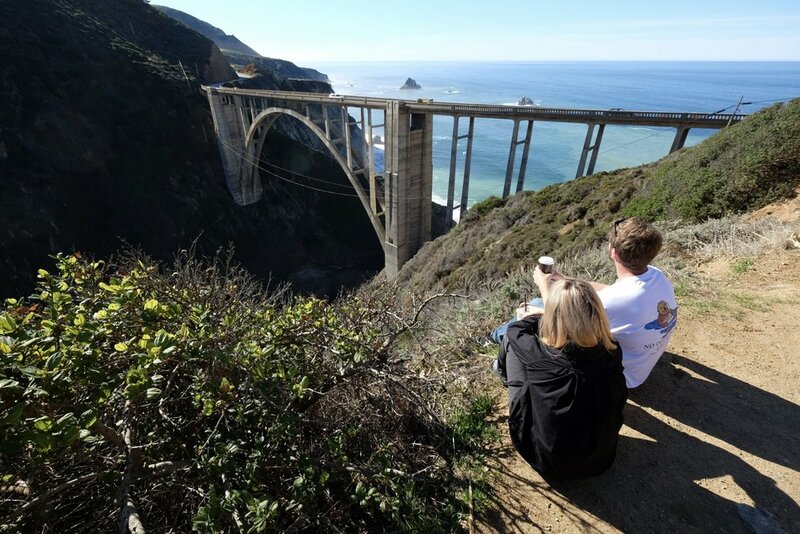 You'll even have a great view of Bixby Bridge (to the north) from this spot. Just be sure to hold on to your hat! 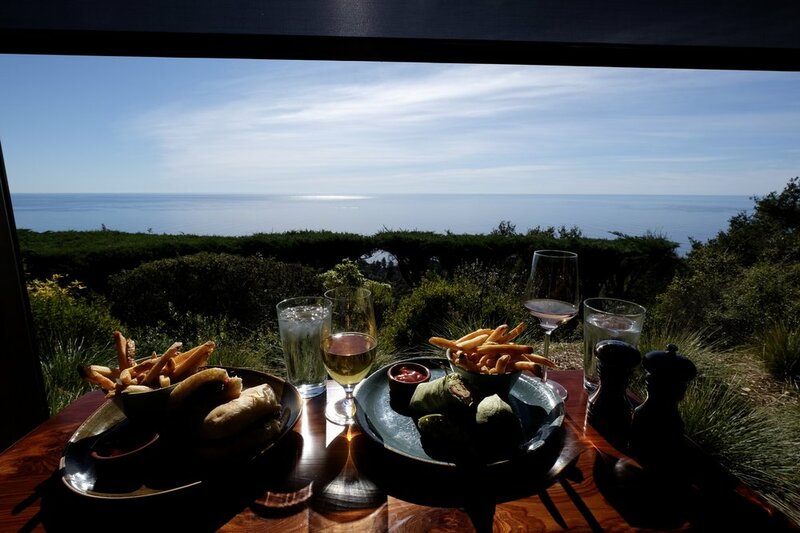 We missed out on this one, because we got really hungry (See our blog on where to eat in Monterey to read more about Ventana Big Sur for lunch). This "secret" beach looks incredible, and we have in on top of our list for when we are back in the area. It's apparently a bit difficult to find, as there is no signage. It's a beautiful, unspoiled beach with the famous Key Hole rock, and apparently some purple sand (Purple?!?). We need to go back ASAP! These are just a few of our “must-stops”, but honestly EVERYWHERE you turn is breathtaking!! 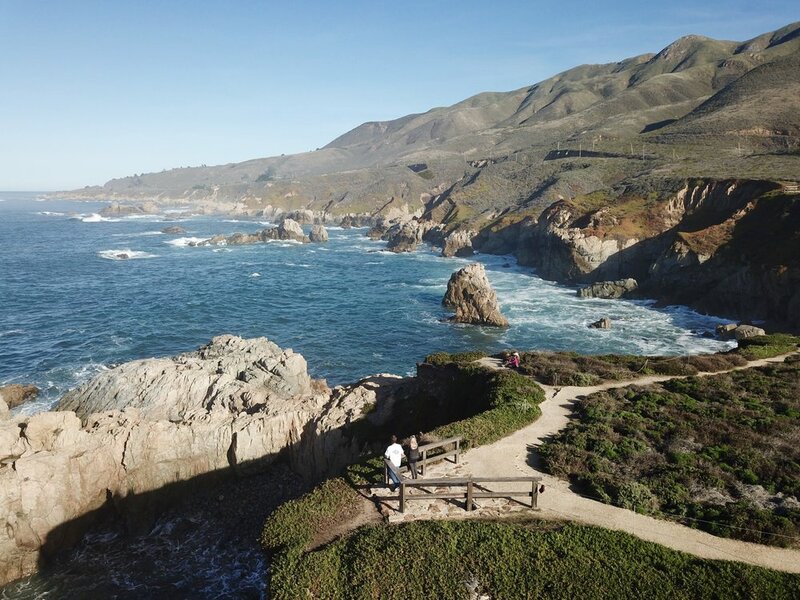 Take our advice and make a day out of this small (but mighty) stretch of California coastline. Next time we plan to pack a picnic and find a secluded spot along the cliffs that we can sit and enjoy the views. And best part is? It’s picture-perfect year round. We went in January and the weather was amazing! We’ve said it numerous times on our blog and Instagram, and we’ll say it again. We LOVE to eat. Wherever we’re traveling we try to find the best spots to dine, and this last trip to Monterey was no exception. While we were only there for around 48 hours, we made the most of our time, and did our best to hit up some old (and new!) favorite spots! Located in the center of Monterey, not only is this coffee shop really convenient, but it’s also really good. Whether you need a spot to sit and get some work done, or you’re looking to grab a coffee and a pastry to go, Lumiere is the place to be! Any of the baked goods, we loved the croissants! A Monterey classic since the 1950s and located on the wharf, you can’t beat the location, the view, or the food! While they’re known for the freshly-caught seafood, Old Fisherman’s Grotto has just about everything! We recommend going for lunch, but we’re sure they serve an amazing dinner as well. 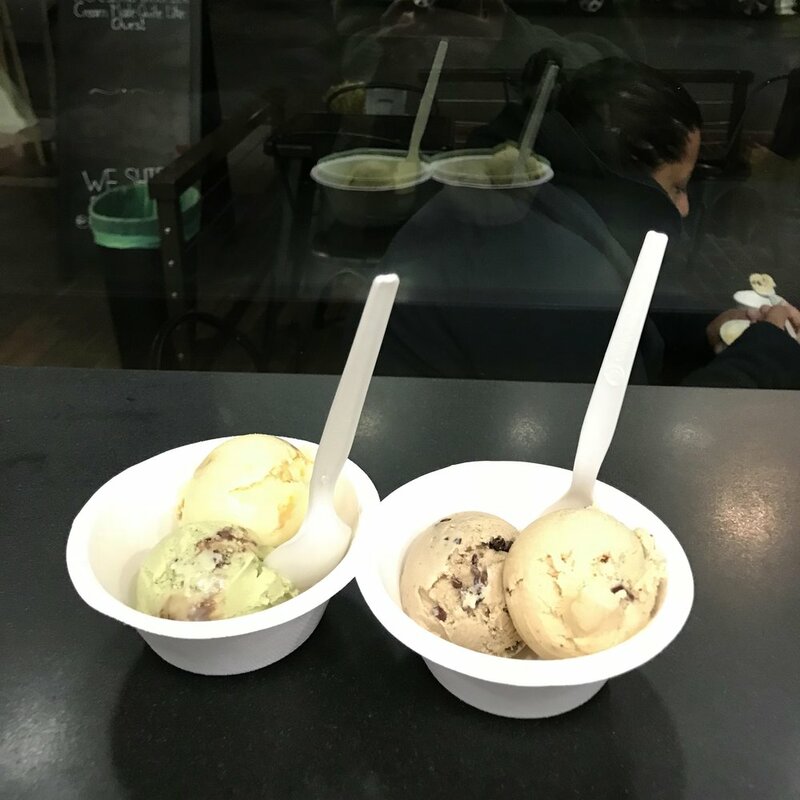 Ask for a table by the window - it’s worth the extra wait! Any of the fresh fish! 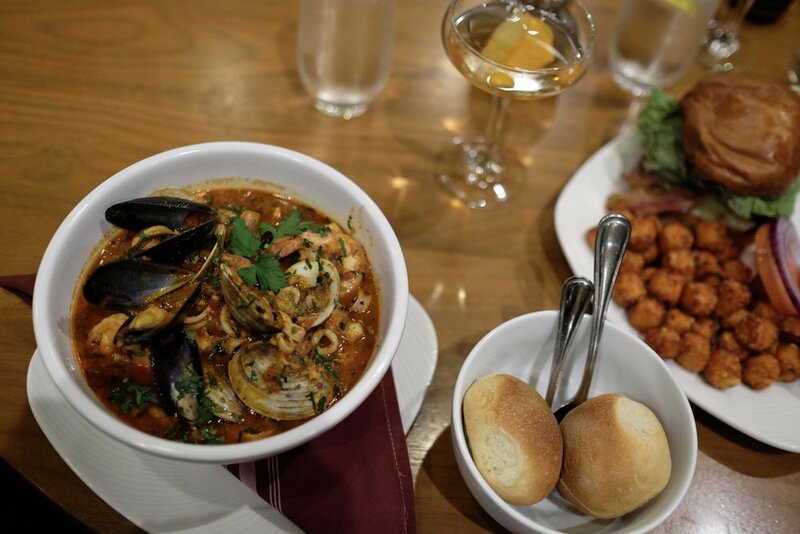 If you love good, authentic Italian food, La Balena is a MUST during your time in Monterey County! 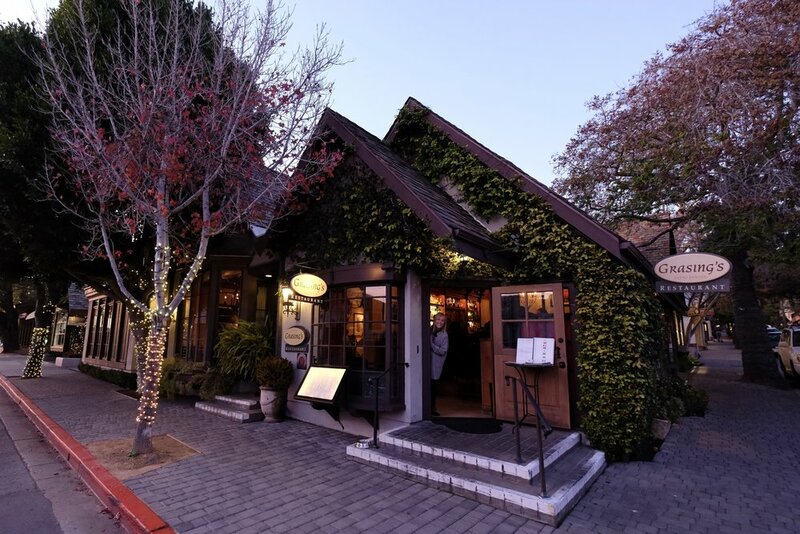 Nestled in the quaint and cozy town of Carmel, La Balena is the perfect spot for a date night or a special occasion with friends. The menu changes seasonly, but it’s one of those places where you know that whatever you order, it will be good. Definitely make reservations, as the restaurant is small and does fill up quick. Any of the pastas, you can’t go wrong. You know those restaurants where you look at the menu and EVERYTHING sounds good? That’s exactly what Jacks Monterey menu is like - we wanted it all!!! From fresh seafood to delicious burgers to vegetarian dishes… they have something for everyone. 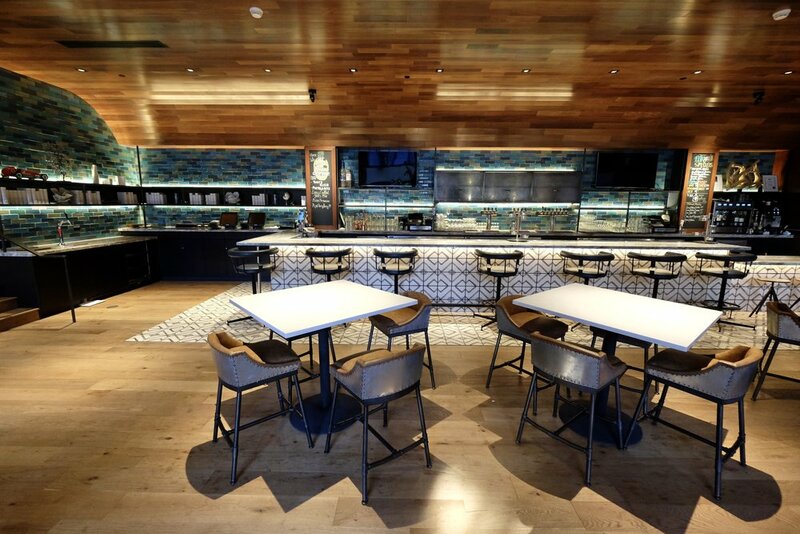 The ambiance is fun and modern, and if you happen to be staying at the Portola Hotel (like we were), it couldn’t be more convenient… it’s located in the lobby! Charming, sophisticated and cozy… Grasings is the kind of bar you’d picture in Europe. 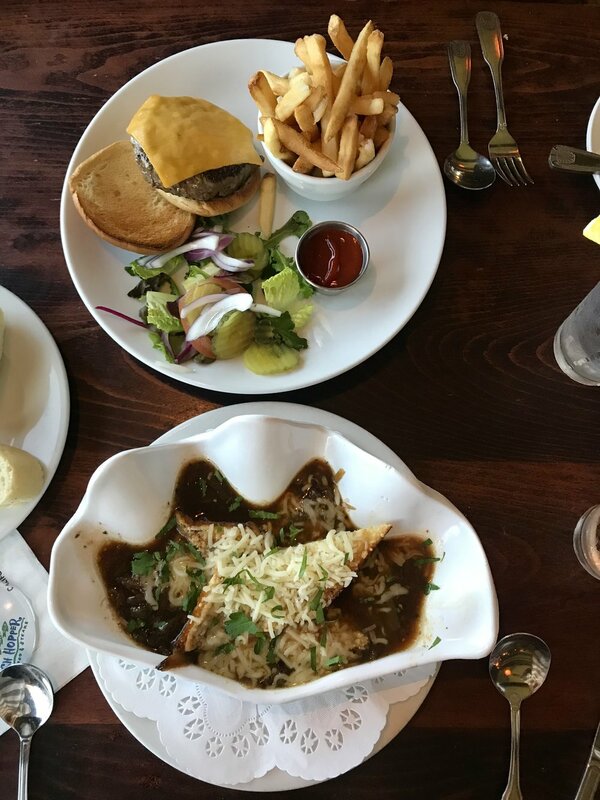 Located in Carmel, it’s the perfect spot to grab a drink and an appetizer or two before dinner. While their wine list is extensive, we’re really big fans of their cocktails. And their charcuterie tray. Wow wow wow, their charcuterie tray… pictures don't do it justice! The charcuterie tray… and thank us later. 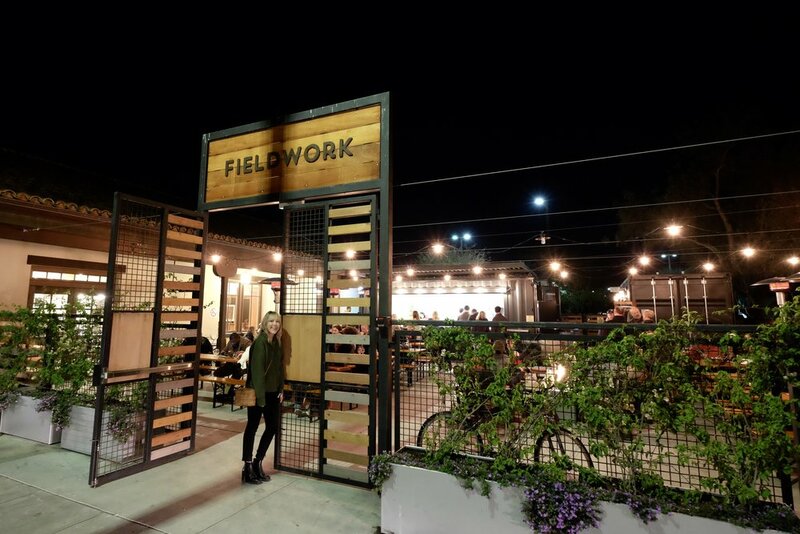 Beer drinkers, this is the place for you! 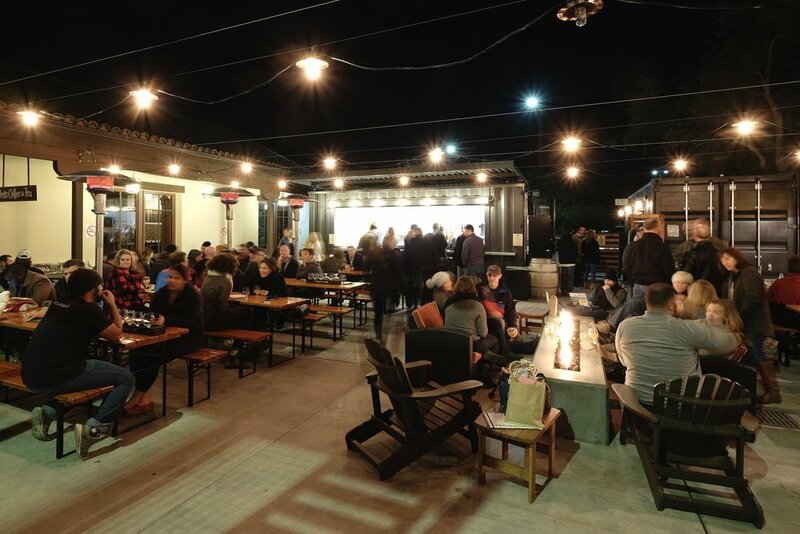 This fun and casual beer spot serves up some of incredible craft brews and is really popular with the locals. Grab a couple pints, make some friends, and breathe in that salty ocean breeze. Oh ya, did we mention it’s outside? So make sure you dress accordingly! It really just depends on your taste... they have so many beers to try!